WASHINGTON, DC, December 3, 2012 – Project DC Events is excited to announce MyTaxi as its gold sponsor for the DC Santa Crawl, scheduled for Saturday, December 8th from 2:00 PM until 9:00 PM. MyTaxi is the first taxi-booking application that directly connects passenger and driver. With just a few taps of the screen, you’ll have a taxi on it’s way! Not only that, you will be able to track the taxi’s arrival via a map, see the driver’s profile, choose your favorite driver, and rate the experience overall. Out of cash? Well no worries, you can pay via credit card or PayPal. MyTaxi is sponsoring this holiday bar crawl so that participants get home safely. “While participants tour some of DuPont’s most popular bars cover-free and sipping drinking specials all day, we know that they’ll have a safe ride option at the conclusion of the event” said Alex Lopez, co-founder of Project DC Events. MyTaxi has generously offered to give each participant a free $5 ride home voucher to use at anytime. They will also be setting up a booth at registering bar, Blackfinn, to give out koozies, t-shirts and other goodies to participants. 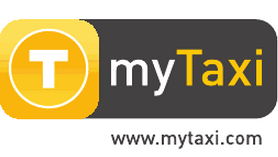 “We are really excited to have added myTaxi as a sponsor. It’s always great when you team up with a sponsor with such a creative vision and one that you truly believe in. I already downloaded the app and will be ready to use on the crawl!” said Lopez. In addition to MyTaxi, Project DC Events will also like to welcome new sponsors: Jack Daniels, Blue Moon, Red Bull, DC Social Sports and returning sponsors: Miller Lite and Bacardi. Tickets are available for this holiday bar crawl online at www.DCSantaCrawl.com. Purchase your ticket now for one of the best bar crawls DC has to offer! You must be 21 or older to participate. Please drink responsibly. Project DC Events is DC’s premier promotion and event planning company, throwing the parties you want in the city you love. Project DC Events hosts parties at the most upscale and exclusive nightclubs, lounges, and bars the city has to offer.